Featuring a natural wood grain finish with a host of options such as Slat-Wall and Slat-Wall accessories, flooring and other garage storage and organization accessories. 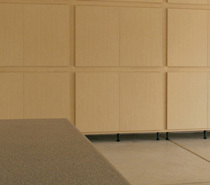 The Tech Series is a modern, streamlined garage cabinet. The sleek gray/silver and black design is sure to dress up your garage. Perfect for the auto-enthusiasts that appreciate sleek styling. 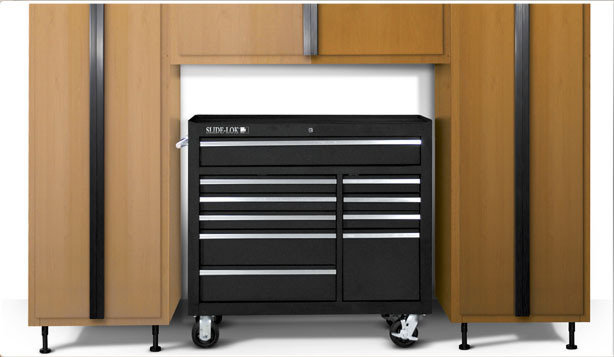 The metal storage chest is the perfect accessory for your garage. Great for storing tools and other car/home care essentials. Garage organization projects couldn't get any easier. The Slide-Lok storage system consists of 10 storage cabinets and Slat-Wall. 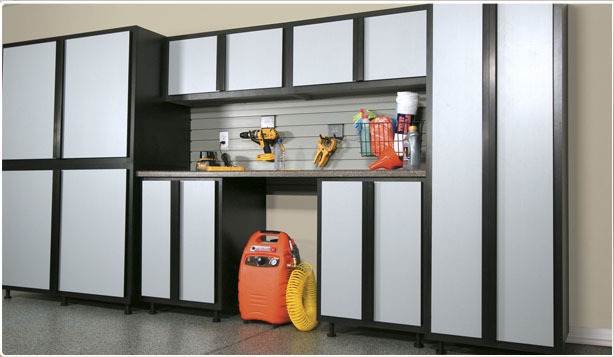 Each of Slide-Lok's garage storage products are designed to be mixed, matched, and stacked with other Slide-Lok cabinets allowing you to create that perfect storage system for any room in your home. Cabinets are height adjustable, modular in design and will fit any storage need. Slide-Lok's Overhead Storage allows you to buy one unit or multiple units to suit your overhead storage needs. This easily installed solution will not interfere with garage doors or openers, utilizing space you never knew you had. 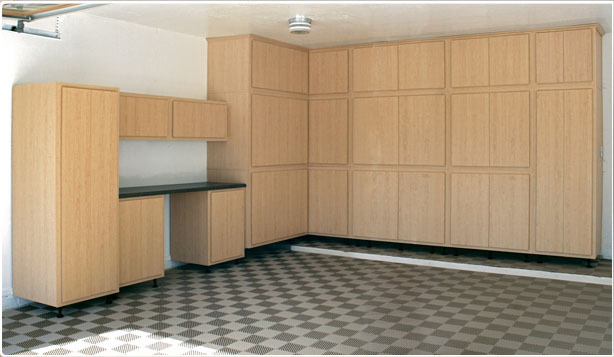 Please contact us for a FREE Estimate for Your Garage Storage Cabinets!